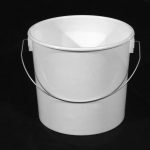 These high-quality, white plastic paint kettles are manufactured to the highest standard, yet available from Buybuckets.co.uk at cheap trade prices. Paint kettles are a vital addition to a painter and decorator’s tool set, preventing contamination and evaporation by allowing the user to reseal the original paint tin whilst working. They are suitable for use with all paints and are ideal for both interior/exterior use. 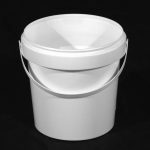 Our sturdy buckets come with a flat bottom which makes them ideal for mixing paint. They also boast a metal handle and are manufactured in high-impact polypropylene, making the containers much stronger than many on the market currently; vital when containing a large amount of paint. 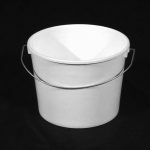 The Buybuckets Paint Kettle is finished in white and represents excellent value for money.